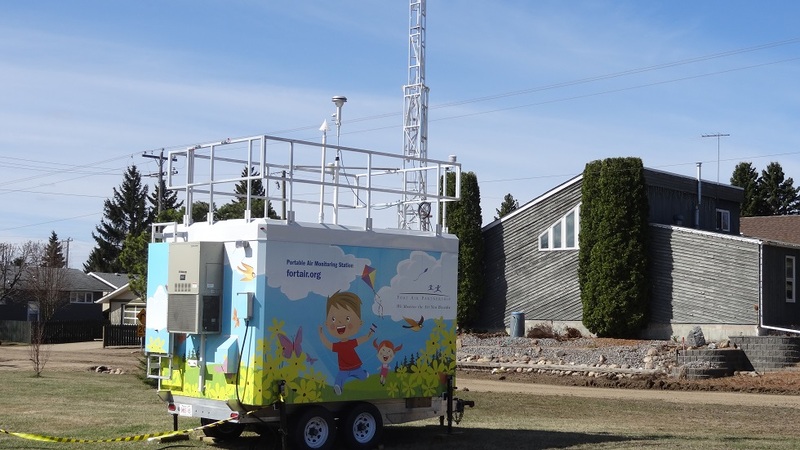 Fort Air Partnership’s (FAP) first portable continuous air monitoring station is now operational in the Town of Bon Accord. In addition to weather information, the station is collecting and reporting data on seven substances: sulphur dioxide, hydrogen sulphide, nitric oxide, nitrogen dioxide, oxides of nitrogen, ozone and particulate matter. This data enables the calculation of a current and forecasted Air Quality Health Index (AQHI) for the local area. “Having a portable air monitoring station is important because it enables us to monitor air quality in areas previously underserved, as well as respond to emerging issues, “ said Nadine Blaney, FAP’s Executive Director. The public is invited to attend an official opening of the station, located at 4803-49 Street, on June 11 at 4:00 p.m. Station tours will follow at 4:30 p.m.
She noted Bon Accord was selected as the first site for the portable because it is a large community that has not had continuous air monitoring before and there was interest from municipal officials to learn more about local air quality. The portable station will be in Bon Accord for at least six months before being moved to another location. While FAP pays the full cost of setting up and operating the station, the Town of Bon Accord provided the site. “The Town of Bon Accord was very helpful in securing the property and we thank them for providing the site to us at no charge,” said Blaney. FAP now has 10 continuous air monitoring stations in and around Alberta’s Industrial Heartland. FAP’s collection and reporting on substances that affect air quality is transparent, guided by a scientific advisory group, and driven by national and provincial standards. FAP Board Chair Allan Wesley (centre left) and Redwater Mayor Mel Smith cut the ribbon officially opening our new Redwater station while FAP Board Directors and Town of Redwater Councillors looked on. 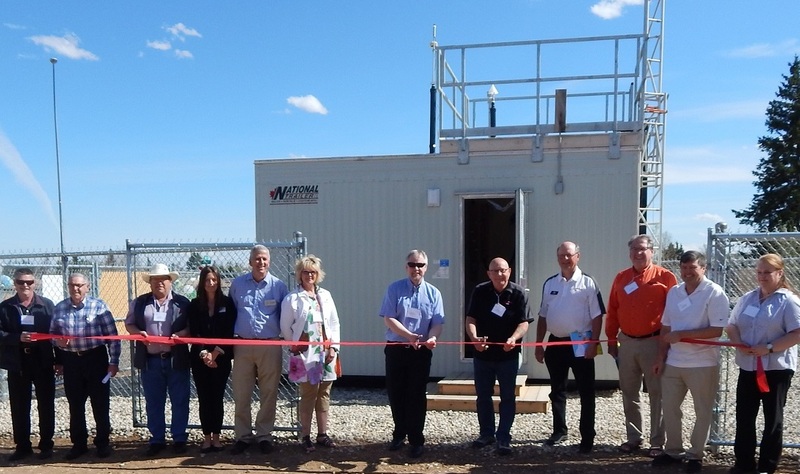 Fort Air Partnership (FAP) officially opened its continuous air monitoring station in the Town of Redwater May 7. A number of dignitaries and residents were on hand to celebrate the opening, witness the ribbon cutting and take an inside look at the station. Located in the heart of Redwater at 4704-49 Avenue, just south of the Town’s administration building, the station collects and reports data on seven substances: sulphur dioxide, hydrogen sulfide, nitric oxide, nitrogen dioxide, oxides of nitrogen, ammonia, particulate matter, as well as weather information. This data enables the calculation of a daily and forecast Air Quality Health Index rating. All of this information is available to the public on FAP’s website. 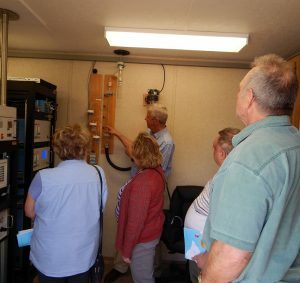 “Having an air monitoring station in Redwater is important because it enables us to better understand the quality of the air locally and on a regional basis, especially where people live,” said Nadine Blaney, FAP’s Executive Director. She noted FAP worked closely with town officials and contractors to ensure the smooth set-up and operation of the station. The Town is leasing the site to FAP at no charge. The Redwater station is one of ten continuous air monitoring stations in FAP’s air monitoring network. Grand opening activities included station tours led by Network Manager Harry Benders.